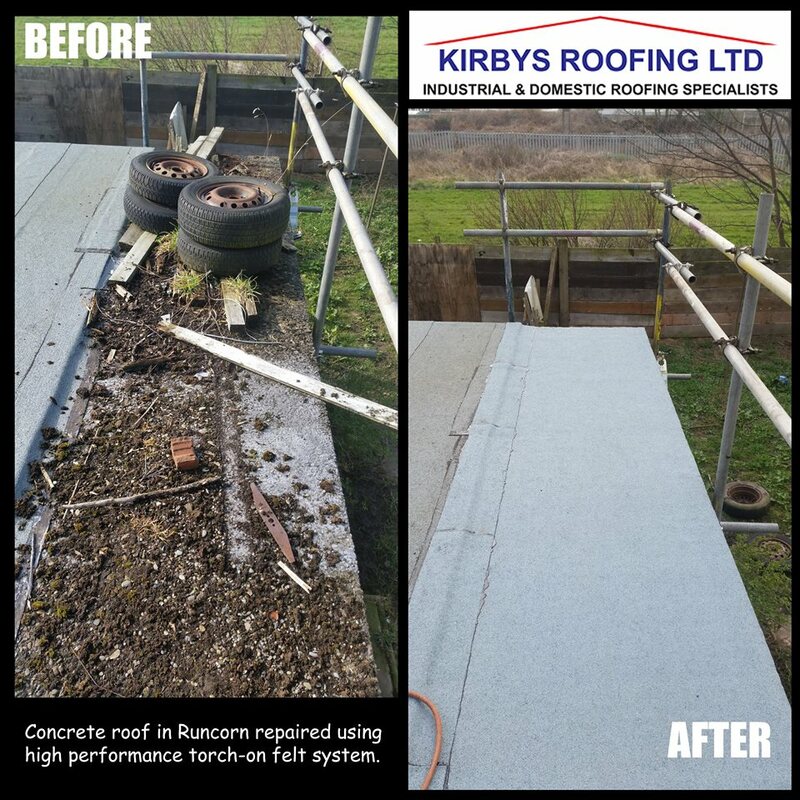 Here at Kirbys Roofing Ltd, we are a specialist roofing company who have a strong reputation for our flat roofing, fibre glass roofing, roof slating, roof tiling, EPDM roofing, lead roof replacement, liquid roofing, cut edge corrosion, concrete gutter replacement and commercial roofing in Widnes, Cheshire. We are fortunate to have a team of professionals here at Kirbys Roofing Ltd. 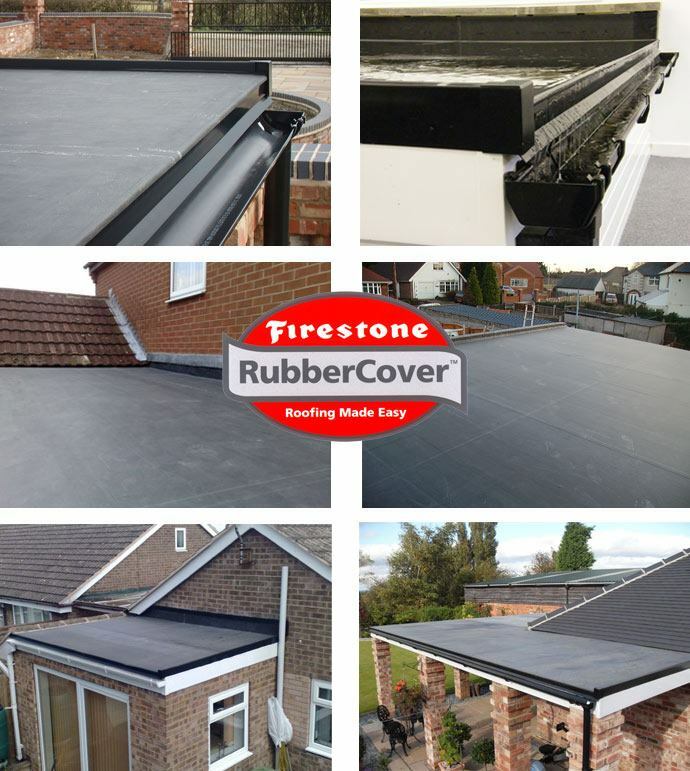 This is one of the main reasons why we firmly believe that we should be your first and only port of call for flat roofing, fibre glass roofing, roof slating, roof tiling, EPDM roofing, lead roof replacement, liquid roofing, cut edge corrosion, concrete gutter replacement and commercial roofing in Widnes and the surrounding areas of Cheshire. At Kirbys Roofing Ltd, we have a real passion for what we do, and we feel that this shows in every domestic roofing service that we provide. We also pride ourselves on the high level of service that we provide alongside all the services that we offer and so we consistently go above and beyond for our valued customers in Widnes. - Professional Team: We have a very professional team of roofers here at Kirbys Roofing Ltd, all of whom strive to achieve perfection with every single one of the services that we offer. 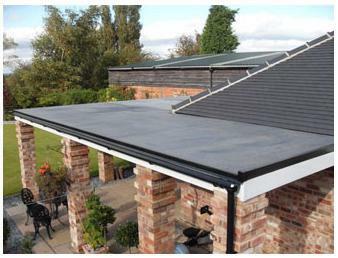 - Highly Experienced: We’ve been operating as roofing specialists in Widnes working with many different clients, meaning you can rest easy with the knowledge that you’re in good hands with our experienced team. - Reliable: We’re here for you whenever you need us to be. Simply give us a call or email us. 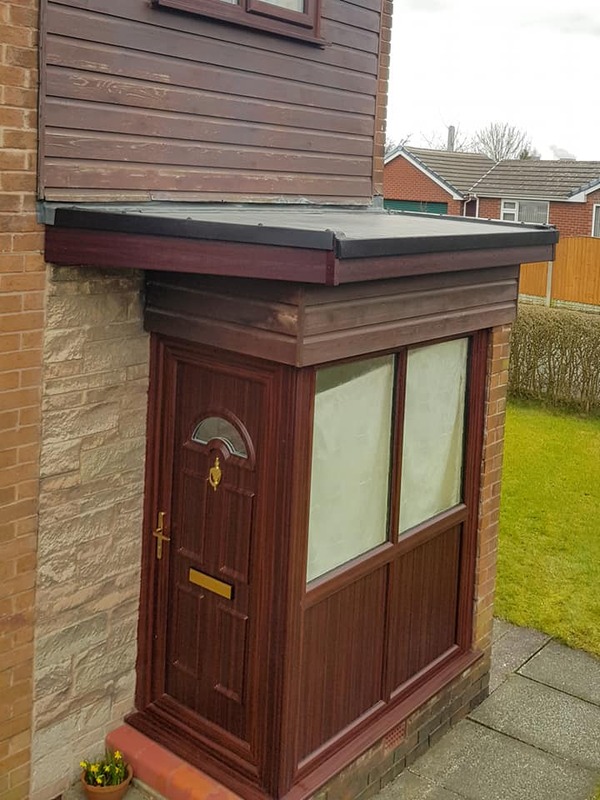 - Passionate: As we’ve mentioned above, we’re very passionate about what we do and with our services in domestic roofing services that we offer throughout Widnes and the surrounding areas. - Competitive Prices: We are proud to say that we offer competitive prices on all the services that we provide throughout Widnes and its surrounding areas, such as flat roofing, fibre glass roofing, roof slating, roof tiling, EPDM roofing, lead roof replacement, liquid roofing, cut edge corrosion, concrete gutter replacement and commercial roofing in Widnes, Cheshire. 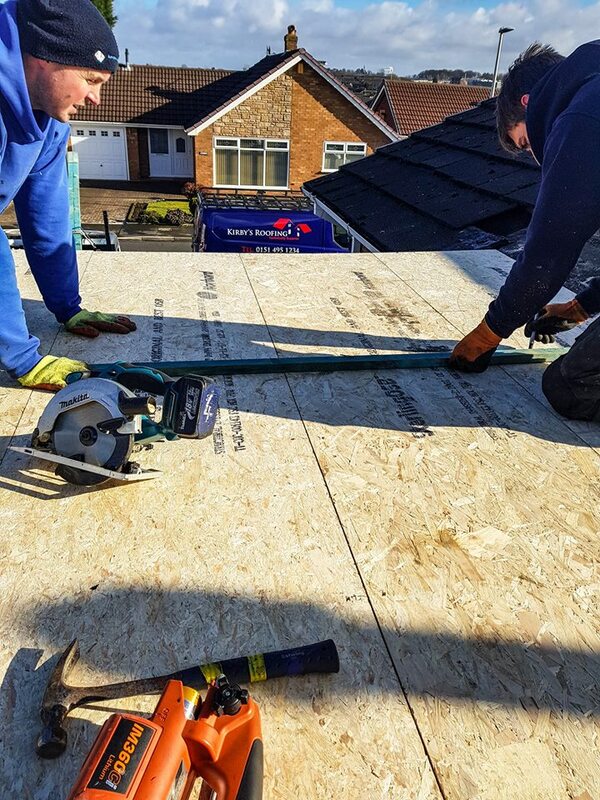 When it comes to flat roofing for your domestic properties, you can trust that our team of highly skilled roofers can help with any of your roofing needs. 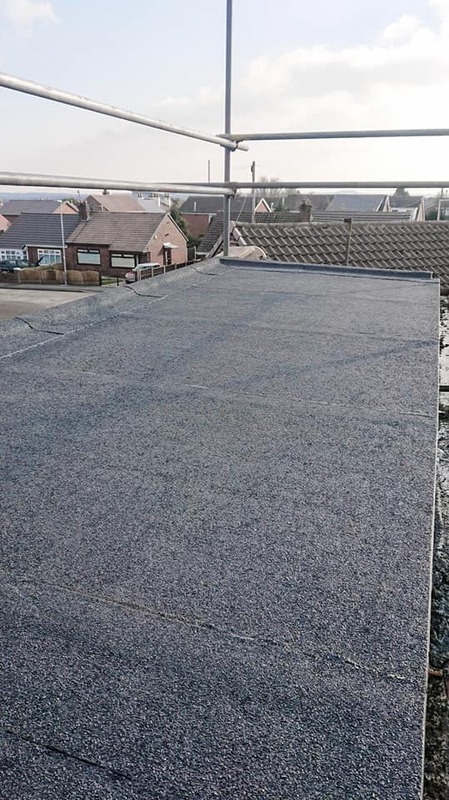 There are many different options that you can choose from when it comes to flat roofing and our professionals can decide which solution is best to suit your needs. At Kirbys Roofing, we can offer; felt roofing, GRP and Fibreglass, EDPM single-ply membrane and TPO single-ply membrane. For more information on each of these, check out our website or get in touch with us today and we will be more than happy to provide you with more information. Also known as Finlock gutters, they were built on properties between the 1950s and 1970s as they were a cheaper installation option. These types of guttering have been found to be very ineffective and leak badly with water leaking into the cavity, which causes damp and consequently ruins the interior décor and brickwork. They can also start to sag, and so for many people, concrete gutter replacements are a popular option. At Kirbys Roofing, we offer two choices. We can either remove the old gutter lining and fit a complete new seamless gutter liner, which carries a 20-year guarantee. Or if you wish we can fully remove the old concrete gutter and fit a new PVC fascia and deepflow gutters. If you would like to find out more reasons to choose us when in need of roofing services in and around the area of Widnes, feel free to get in touch with our team. We would love to help you! Call us on 01514 951234 and we will be more than happy to discuss your options. Great service, very reliable and efficient. Kept me informed of date changes due to weather conditions overall, really good. I would use them again so definitely recommend them. He did a very good job, very tidy and professional. He came early in the morning and just got on with the work, he's a very good roofer and we've used them before. We remembered the good work they done which is why we have used them again.